A film genre (if you can call it that) I’ve always struggled with is the biopic. I find the distilling of a personality’s life into a couple of hours, in a dramatised fashion, too slight and artificial. They often fail to get to the heart of their work too, instead using the celebrity’s name to attempt to add value to a bland or cliched romance, rags to riches or fall from grace story. 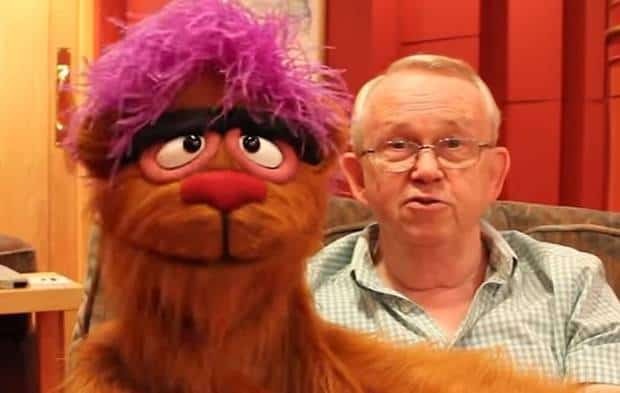 Celebrities are human too and have complex lives and feelings like the rest of us, which is hard to put across effectively in a Hollywood crowd pleaser. As such, I tend to prefer watching documentaries when I want to learn more about somebody’s life or work. There are some biopics I love though. Lawrence of Arabia is one of my favourite films of all time, largely due to the awe inspiring spectacle of it all. What it does well in terms of a biopic though is it keeps its subject fairly enigmatic. It doesn’t try to explain Lawrence’s actions too clearly and doesn’t make him out to be some sort of saint either. When asked to name my favourite biopic though, I often pick American Splendor. I prefer Lawrence of Arabia as a film, but don’t think of that as a typical biopic due to its epic scale. What I like about American Splendour is how it takes a unique approach to the format. Instead of a straightforward dramatisation of somebody’s life or a period of it, the film jumps between reconstructions, filmed panels of the artist’s work and some meta sequences where the actors speak to the true life personalities they’re portraying. In doing this, you’re reminded that the film is about real people and get to hear their side of the story as well as get to see the work they’re famous for. To me, this is a much more successful way to get across who they are and why we should care. Since watching it on its 2003 release, I’ve not come across a biopic that’s been as inventive and successful in portraying its subject as American Splendor. 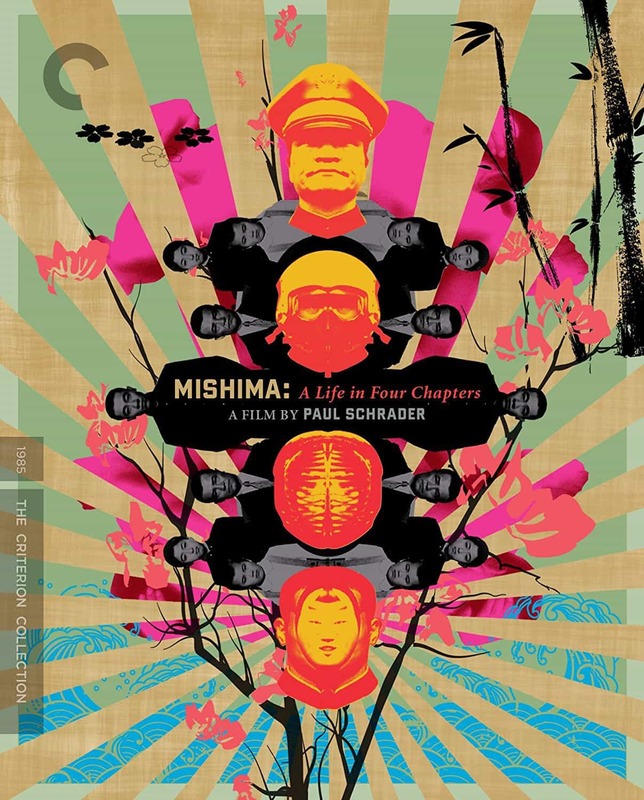 That was until I was sent a copy of Paul Schrader’s Mishima: A Life in Four Chapters to review. 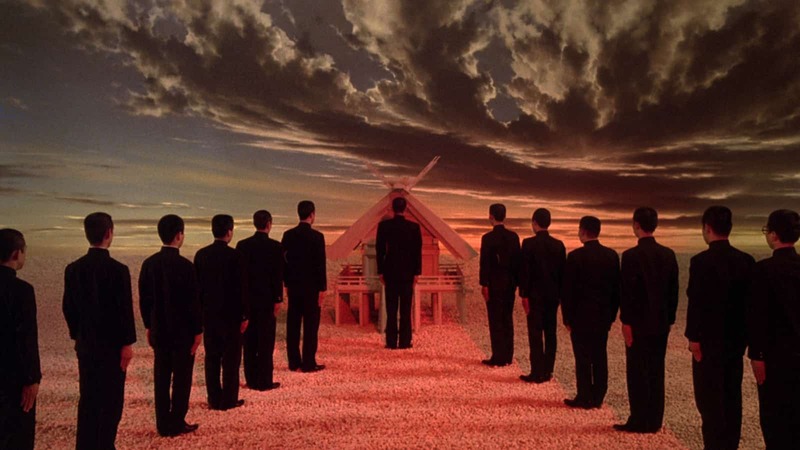 The film, which is being given the first class Criterion Collection treatment in the UK, was released in 1985 and explores the life and work of one of Japan’s most famous authors, Yukio Mishima (superbly played here by Ken Ogata). He was a narcissistic homosexual who led a strange life which, on top of writing novels, plays and poetry, included acting, directing, modelling and forming his own right wing army. The latter paved the way for his bizarre and shocking death in 1970, when he and three of his militia members staged an attempted military coup. The group took a military leader hostage, then Mishima went out to the balcony of the headquarters where the media he’d contacted were waiting. There he delivered an impassioned speech about the state of Japan and a need to adopt ‘pure’ ways of life similar to the traditional Bushido Code (the way of the Samurai). The speech fell on deaf ears and was cut short, but Mishima continued with the rest of his plan, which saw him go back into the military office and commit seppuku (Japanese ritual suicide) by slashing his abdomen open with a dagger, before having one of his companions hack off his head with a samurai sword. 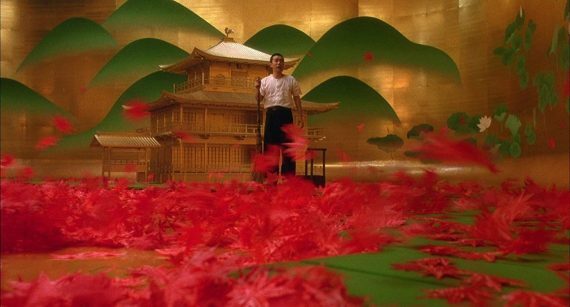 So Schrader had potentially sensational material to work with, but he took a unique approach to presenting Mishima’s story which allowed for stylistic touches befitting the man who was obsessed with the notion of beauty, yet still delivered a respectful and rich portrait of a deeply complex individual. 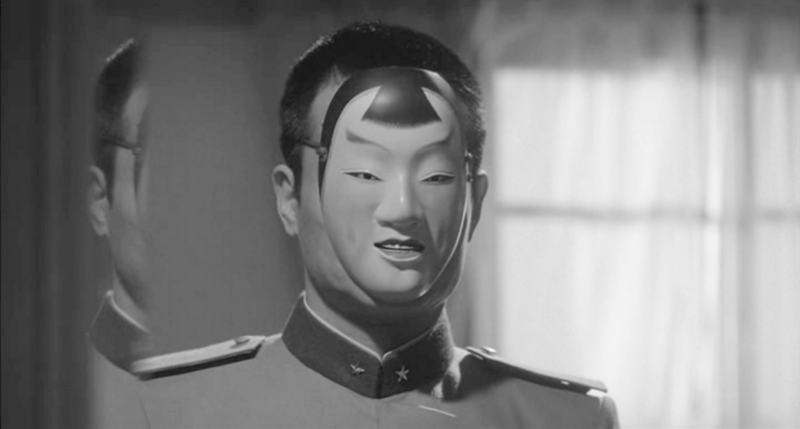 What Schrader and his co-writer Leonard Schrader (his brother) did was to split the film not only into the four chapters mentioned in the title, which highlight key themes important to Mishima (titled here as Beauty, Art, Action, and Harmony of Pen and Sword), but also separate the narrative into three clear representations of the man. Framing everything is the story of his final day, presented in a straight, vaguely documentary-like fashion (i.e. handheld camerawork and natural-looking lighting). Then you get flashbacks to various episodes in Mishima’s life, taken largely from his autobiographical novel ‘Confessions of a Mask’, which are shot in varying styles befitting the time period being portrayed. Finally, in three of the four chapters, you get staged adaptations of some of his best known work. These are ‘The Temple of the Golden Pavilion’, ‘Kyoko’s House’ and ‘Runaway Horses’. They’re vital in providing the audience with the essence of Mishima’s art, but also further the biographical aspects as the protagonists’ drives and desires seem to mirror those of their author. The stories all seem to point towards his suicide too, suggesting that his life’s work had been leading up to that moment, fuelling a popular belief that his death was intended as some sort of twisted performance art long devised by Mishima. The staged adaptations within the film provide the most attention-grabbing scenes of the film too. Schrader wanted to shoot these like pieces of theatre, so doesn’t hide the artificiality of the performances or sets. The latter were designed by Eiko Ishioka, who hadn’t worked as a production designer for a film before, but had experience and great success as an art director in the field of advertising. Her work here is absolutely stunning though. The film is beautifully lit and shot by John Bailey, but it’s the bold colour and striking forms of Eiko’s work that really impress. I can’t stress enough how gorgeous this film looks throughout these staged performances. As impressive as the production design is, it’s equally matched by its score. Philip Glass was hired to compose it. He’d worked on shorts and documentaries before (including the classic Koyaanisqatsi), but this was the first narrative feature he’d worked on and he delivers some of his finest work (which is saying something). The music is bold and in-your-face, like Mishima himself could be, but has a hypnotic depth and weight to it that drills into your psyche. I’ve neglected to mention a key factor of the presentation though that makes it even more impressive that Schrader managed to produce such an incredible film. 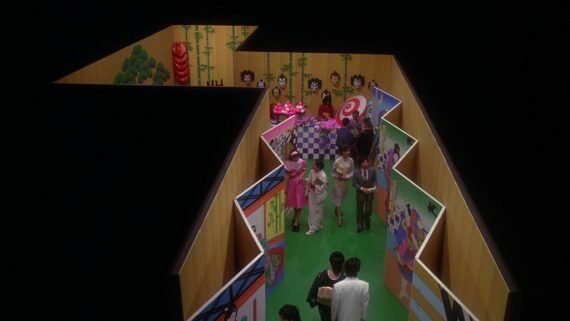 It was shot almost entirely in Japan with a largely Japanese crew and Japanese actors who deliver their lines in their native tongue. It’s miraculous how the non-Japanese-speaking director managed to bring everyone together in creating such an ambitious and unusual film, without it turning into a mess. 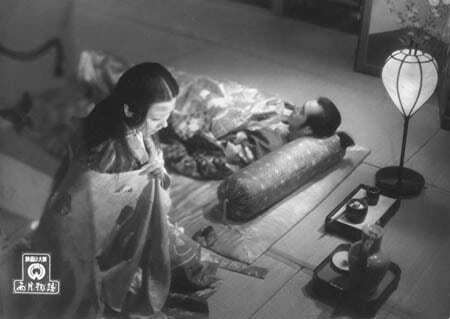 Interestingly, the film has never been released commercially in Japan, due largely to Mishima’s widow boycotting the film, but also due to the author being considered a taboo subject in the country after the events of and leading up to his death. I could ramble on and on about the film to be honest, but it’s getting late and I recommend people just see it for themselves. What I would say though, is that perhaps some research into Mishima would help before watching the film. I went in totally blind, so was a little confused at points, believing in fact that the militaristic strand leading to Mishima’s death was fictional, when indeed it wasn’t. In fact, Schrader seems to have gone to great lengths to make it as accurate as possible. Due to my confusion and lack of knowledge about Mishima, my initial opinion was that the film was very good, but I didn’t quite know what to make of all the various elements. After watching the mountains of special features on the disc though, I gathered a greater understanding of the man’s life and work, and the intentions of the filmmakers, so realised the true power and success of what Schrader had achieved. Even without this knowledge, I felt it was an incredibly striking and unique take on the biopic. It’s worth watching for its style alone, but when you realise how brilliantly it digs into the soul of its subject, you can see it for the masterwork it truly is. Mishima: A Life in Four Chapters is out on 11th June on Blu-Ray in the UK, released by The Criterion Collection. The transfer is gorgeous and Philip Glass’ superb soundtrack comes through clearly and powerfully. Wow. This could easily be the disc of the year. 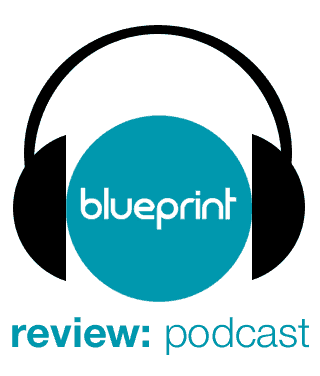 Sometimes having so many features can get a bit much and interviews repeat themselves too often, but this is a fine selection of material that covers every inch of ground and only occasionally overstates some facts about its production. A particularly vital featurette is ‘The Strange Case of Yukio Mishima’, which was produced for BBC’s Arena slot back in the 80s. This gives you a straight up documentary overview of Mishima’s life to supplement the film and shows how closely Schrader stuck to the facts. The interviews with John Nathan and Donald Richie add to this too. On the production side of things, you’re well served by an excellent commentary track and a handful of interviews which cover subjects Schrader and Poul missed out. Chieko Schrader’s comments are particularly illuminating, talking about friction between the Schrader brothers and detailing the trouble she went through to try and get Mishima’s widow to support the production. The English narration options are interesting, allowing you to watch the film with the soundtrack used on its American theatrical release. The producers were worried such a subtitle-heavy film would be a tough sell to audiences, so they hired Roy Scheider to overdub the audio narration which runs through the film. It was the only version available for a long time, so those who saw the film on original release often prefer it that way. So no stone is left unturned here. Added to the fact that the film is excellent, purchasing this disc is an absolute must.